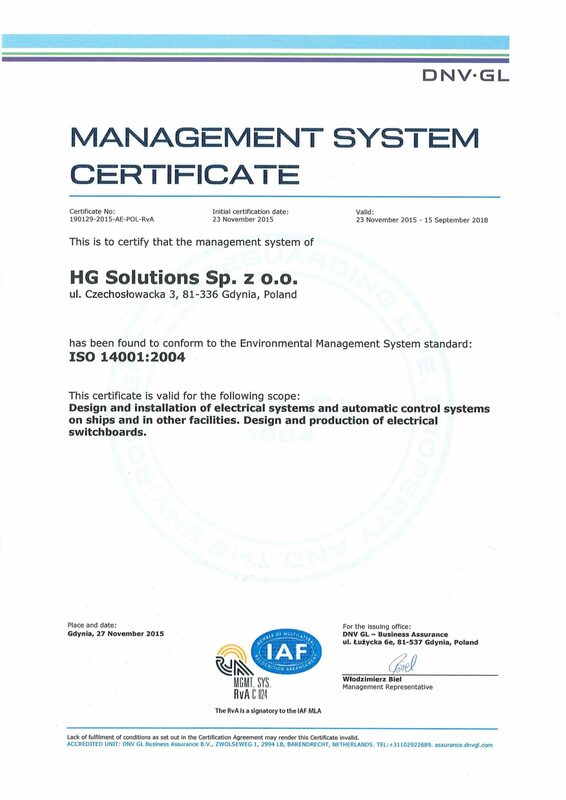 HG Solutions Sp. zo.o. is a subsidiary of the Hareid Group and a key part of the group’s maritime operations with a head office in Gdynia, Poland. Our experts have extensive knowledge and experience of design/construction, new maritime installations, switchboard production, testing, and repairs/rebuilding of existing vessels. The company has a long list of reference projects involving newbuilds, switchboard Production and servicing/after-sales for all types of vessels, and we are happy to manage the entire process from start to finish by further agreement. regulations set by the authorities and classification societies such as PRS, LR, BV, ABS and DNV-GL. 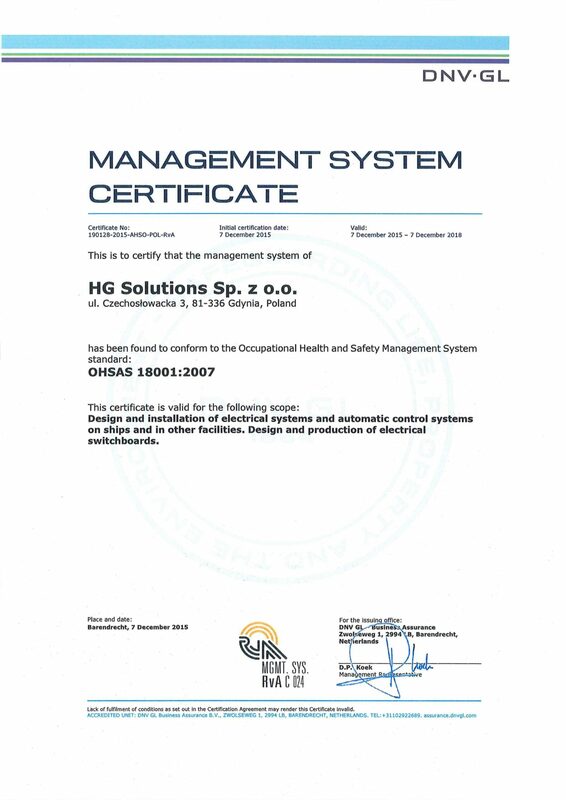 The company has been ISO 9001:2008, 14001:2004 and 18001:2007 certified by DNV-GL. 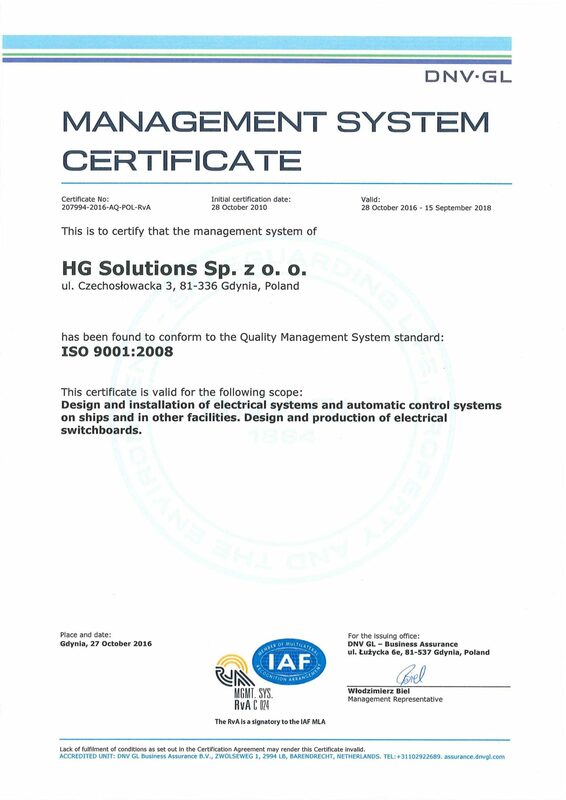 The company has been ISO 9001:2008, 14001:2004 and 18001:2007 certified by DNV-GL.